Goodreads: Six months before her execution date, Noa is visited on Pennsylvania's death row by a high-powered attorney named Marlene Dixon who initiates a clemency petition on her behalf. Marlene also happens to be the mother of Noa's victim, Sarah, and ten years earlier, she helped cement Noa's fate on the witness stand. What unfolds is the haunting account of Noa P. Singleton, an insular, acerbic thirty-five-year-old woman who agrees to entertain this last-minute appeal because Marlene has unexpectedly reversed her belief in the death penalty. Kritters Thoughts: A morbid central plot, but presented in an interesting way with the person on death row telling the story popping in to the past and back to the present to catch the reader up on all the important details. 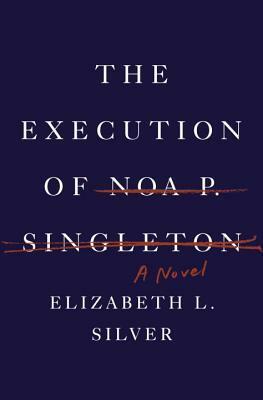 Noa P. Singleton is awaiting her execution day and it has been set, but out of the blue comes the mother of her victim claiming to help her get clemency and this is where the real story begins. This book definitely took a turn that I couldn't predict and although it added some drama to the story, I am not sure I loved it. I did love how the facts as to why she was incarcerated were presented to the reader - it was great to get the real story piece by piece and not all at once at the end. With letters from the victim's mother to her daughter included throughout the book, the reader is given a lot of her intentions and story. While most of the story is told in Noa's voice and she easily moves to the past to tell stories about herself long before the crime and then leading up to the event - I thought that it was kind of generic that she had a bad family history. Why do all criminals claim a past abuse that may influence their future decisions? A different book to include in the mystery genre where the victim is known and already met their demise, but the how and why are the heart of the story. I would definitely recommend this book, although it is definitely very different. I don't think I've read a mystery like this one before, where the how and the why are really what are up for debate. Sounds fascinating!